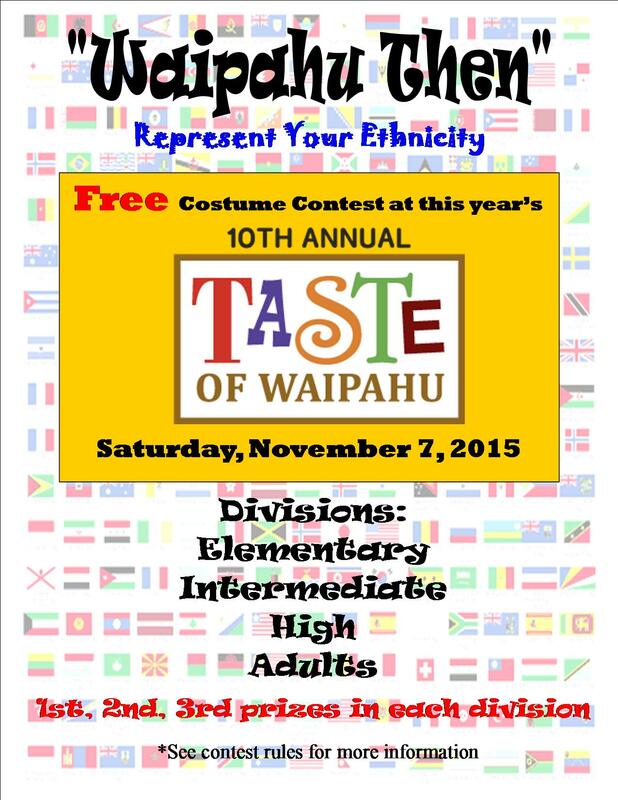 Join in the celebration of the “Waipahu Then” theme that we are celebrating this year at the 10th Annual Taste of Waipahu Event on Saturday, November 7th, 2015. Come in costume to display the attire of the individuals in the Plantation Era (1897-1995). It may be of any ethnicity represented in that time era. Your costume will be judged on workmanship and presentation. Judging will be at main even tent at 3:45pm starting from youngest group.